At Ledford’s, we know the last place you want to discover termites is in your place of business; a termite infestation can not only compromise your workforce, it can also compromise the entire structure of your workplace. That’s why it’s important to address a termite problem as soon as possible. When termites form colonies, they house collect several thousand individuals in one area, and those several thousand individuals can cause a significant amount of damage. Whether your termites are drywood termites that live directly in wood or are subterranean termites that live underground and dig tunnels, we know that they can compromise the integrity of your building over time. As termites eat through wood, they leave behind large cracks or holes that eventually weaken the strength of the wood. These areas will cause the wood to sag, buckle, bend, crack, or even collapse, leaving you with a structural problem to fix. 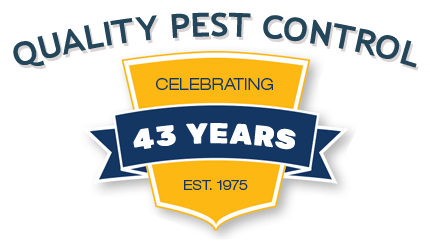 These tiny pests can be hard to detect, and you may need the help of a professional to assess your situation. If you think you may have a termite infestation in your business, contact our commercial termite control professionals as soon as possible. We’ll determine if you have an infestation and if so, where it’s coming from. After that, we’ll use the proper termite control treatment to completely eliminate the problem and stop any further structural damage. Give us a call today. Commercial termite infestations call for a proven solution and at Ledford’s, we’re proud to use Termidor. This termite treatment is undetectable to termites and works fast to eliminate even the largest colonies. 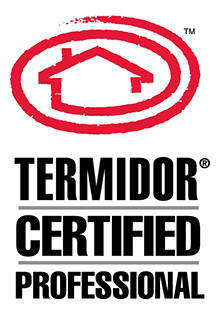 Termidor has been tested around the world and has proven consistently successful. In fact, the treatment is effective for up to eight years to help protect your building from future termite presences. With Termidor, we can help you eliminate drywood, subterranean, and Formosan termites and get your building back to being pest-free. 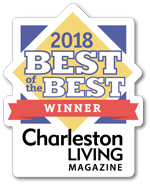 Contact our Charleston Tri-County business today to learn more.